If you are tired of fashion, glamorous shots and you want to try something new - a grunge picture is what you need. Grunge is one of the most controversial fashion photography trends. Grunge is a combination of styles, colors and textures. Download 10 free grunge Photoshop brushes and see how they will help you improve and supplement your photos. Free Photoshop grunge brushes help you perfect your designs and add a beautiful vintage effect for your work. You can edit Photoshop free grunge brushes the way you like, work with color, size and style. If you want to have amazing backgrounds for your images, websites and posters with incredible textures, gradients and brushes, you need use amazing grunge brushes Photoshop free from FixThePhoto. Here you will find the best set of 10 free Photoshop grunge brushes. You can download grunge brushes for free. Use them in your work right now. The effects of rubbing, rust, old age, with the presence of other elements or even fonts should be visible on the photos in grunge style. Therefore, after the photo session, you need to retouch photos in Photoshop, give them a touch of surrealism, so that negligence is well visible. You can achieve this goal by using color correction, applying effects and using grunge brush Photoshop free. The ability to download and install ready-made brushes, as well as create your own ones, incredibly saves time and efforts for Photoshop users. Effective work with brushes is simple and easy to master. These free Photoshop brushes grunge will become vital in your work, no matter what level of Photoshop you have. Grunge brush set Photoshop free is 10 exclusive brushes for work in different styles and the ability to create unique photos without limiting your imagination. Different color shades will give an opportunity to experiment and create a completely new product. You can easily download best grunge brushes Photoshop free right now and start your work. This grunge brush has yellow texture with scratches and attritions throughout the area. This background for a Photoshop looks like an old worn concrete wall. The texture is perfect for working in cityscape, fashion, urban styles. Bright paint and the effect of the aged surface will inspire you to create a masterpiece. Click at the button and receive Free Grunge Brush within 2 minutes. Write your valid email address and your first name and receive these filters free of charge. Save your free time and buy this Grunge Photoshop Brushes bundle made by our experienced retouchers and photographers. Stylish and beautiful packet with one click. To get the grunge effect and to accentuate the viewer's attention, textures with bright saturated spots of paint are added to the image. The texture is made in an incredibly beautiful purple color, which is a shade of violet color. Chaotic strokes of the brush on a dark background resemble colored metal. The texture has scrapes. This background is ideal for working in outdoor, cityscape, fashion, urban styles. The Grunge style allows you to mix several styles in a photo. This Photoshop brush grunge free resembles a metal painted in violet. Many scratches make the texture sloppy. This background with a cool shade of purple with gray spots and scratches on the surface reminds old walls of houses. The texture is most suitable for in urban and fashion style. To use brushes, you should have a basic knowledge of Photoshop. 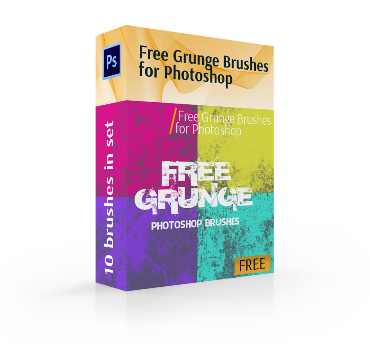 Next free grunge brush for Photoshop is dark purple of color. There are places on the texture unpainted specifically, which creates an effect of incompleteness. You can use the background to process photos in a portrait and fashion style. Photos in the style of grunge are designed to emphasize spontaneity, make freshness and brightness in the image. Download Photoshop brush grunge free for your best work. This texture is the perfect combination of a delicate purple color and a worn surface. This grunge brush in a bright blue color will like you. Scratching on the sides of the texture creates the effect of an old concrete wall. Despite the fact that a gloomy dramatic image is created, this type of photo retouching in the grunge style gives the picture uniqueness, brightness, which distinguishes this treatment from such classic types of retouching as treatment for oil or watercolor. This texture is suitable for photos in the style of outdoor and urban. Next grunge brush combines the tenderness of dark turquoise color and coarseness of metal. You can create a new layer on top of other layers, draw the entire layer with one of the brushes and make the blend mode to create a grainy texture. It can be a linear burn, an overlay, a multiplication or a soft color. Do not be afraid to experiment. This texture is suitable for fashion, urban and even portrait photos. This free grunge brush for Photoshop resembles a poorly painted concrete wall in a bright turquoise color. Dark spots and scratches on the texture surface make an impression of the old wall. This texture is suitable for such types of photographs as outdoor, cityscape and fashion. You can draw brushes on the edges of your artwork to create a grunge look. The following grunge brush has a very bright lime color. This grunge brush with dark gray surface that is painted in bright lime color is ideal for photos in outdoor, portrait, fashion, urban styles. Rich lime color gives you the opportunity to experiment with different photo styles. The best background for grunge photography will be abandoned houses, dilapidated buildings, rooms with peeling walls. This free grunge brush for Photoshop is made with an imitation of rust. Dark-orange color textures with a scratched surface can be used for such types of photographs as outdoor, cityscape, fashion, urban and many others. This unique texture can dramatically change your photo. You can use brushes to edit an element using a layer mask. The last grunge brush is made in lemon color. Part of the texture has a worn surface. The dark gray background color is reminiscent of cement. This grunge brush Photoshop free is suitable for fashion photography in the style of cityscape, portrait, urban. Usually, when retouching photos in the grunge style, the image is artificially aging – the PS brush mutes the color. Grunge brush set Photoshop free is created by a team of professionals for work with different themes of photos. Free Photoshop grunge brushes are used in such styles as outdoor, cityscape, portrait, urban and fashion. 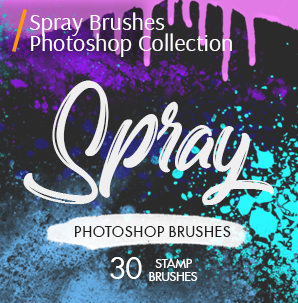 The best set of 10 free exclusive brushes for Photoshop will give you the opportunity to reveal your photographer’s and photo retoucher’s potential and transform your ideas into reality. 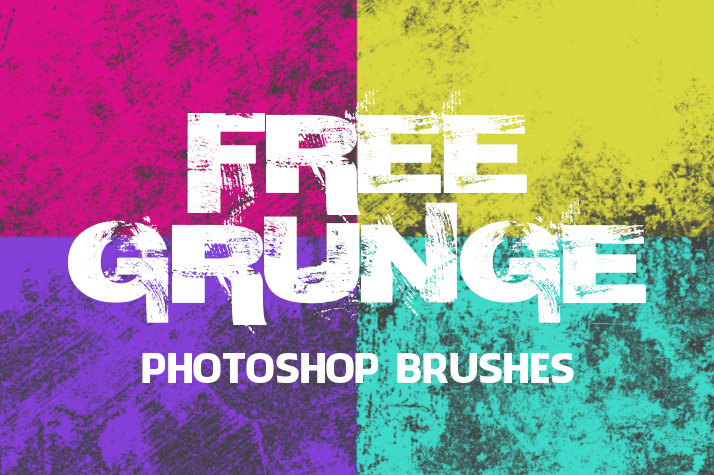 Download free grunge brushes Photoshop and receive incredible shots.